Teaching, regardless of the skill or knowledge being imparted, is always a rewarding experience. It provides a sense of satisfaction and achievement which no tangible reward such as a grade 7 on a report card or a gold first-place medal can quite replicate. 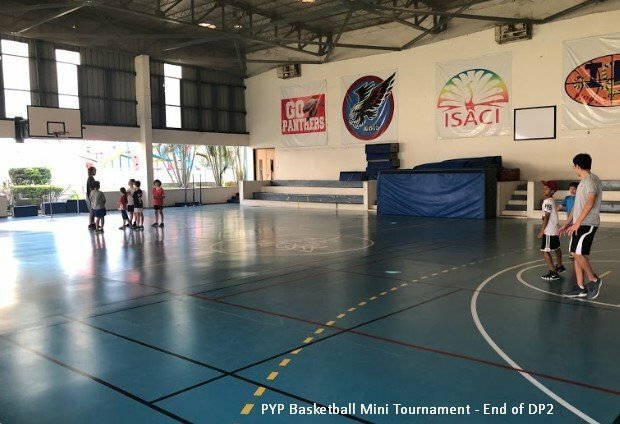 After all, multiple PYP children and their parents consistently devoted their precious Saturday mornings over the past two years – valuable time in which they entrusted Animan and I to teach basketball. Therefore, my CAS Project which lasted over the whole two years of my Diploma Programme was not just a single, gratifying experience – it was a process which I believe was fruitful for everyone involved. At the start of DP1, our basketball training sessions attracted close to 20 students including boys and girls from PYP1 to PYP5. Due to this variety in participants, Animan and I had to learn how to plan multiple basketball activities which would equally engage everyone for each week’s session. This task was no easy feat given the difficulty of the DP course load as well as our other extracurricular commitments, yet, both of us tried our best to ensure the preparation and execution of our lesson plans. Since we were also interacting with a much younger age group, we also had to learn to consider the emotional and competitive nature of children and how it might present certain challenges such as injuries and conflicts. Therefore, the majority of our first year was utilized in effectively initiating, planning, and adapting to challenges while teaching the basics of a team sport to a diverse group of children. With these skills in addition to the development of communication, conflict-resolution skills, and improvisation, Animan and I were able to develop effective teaching methods while maintaining a comfortable and fun environment for the kids which was carried into our second year of the activity. Unfortunately, many of our initial members of the basketball training sessions had left the school, and our activity now had 5-7 consistent members every week. Once again, we adapted our lesson plans to make them more personalized while focusing on the fundamentals of shooting, passing, dribbling, and defense. The growth from the beginning of last year up till the point before we started planning for our CAS project, a final mini basketball tournament, was evident in the more developed and mature play-styles of the PYPs. Given this improvement, it was only reasonable for our CAS project to be a tournament where the consistent members of our training sessions could showcase their progress in a competitive environment. However, organizing such an event required Animan and I to collaborate efficiently with each other as well as the other coaches, Yuvaan and Hendrik. From the tournament’s logistics to the its planned activities, we had to ensure that we were ready for all possibilities such as accommodating players from different age groups and fairly refereeing the games so that it would satisfy all players. On the day of the tournament, the cumulative effort of this two year project, we had a large turnout as indicated from our sign-up forms, and everyone present was determined to play and exhibit their learnings over the day. We were pleased to see our drills and exercises take place on court with examples including skillful dribbling, solid defense, and shots taken with a proper form. After two hours of sweat and tears – both from losing and winning activities such as the 5v5 game, Knockout Shooting, and 2v2 games – I can say with confidence that we have helped advance if not instill a spirit of passion for basketball and balanced competition within these players. Therefore, Our ultimate goal for our CAS Project was accomplished, and our feeling of achievement after months of planning, executing, and enjoying our time teaching was unmatched. 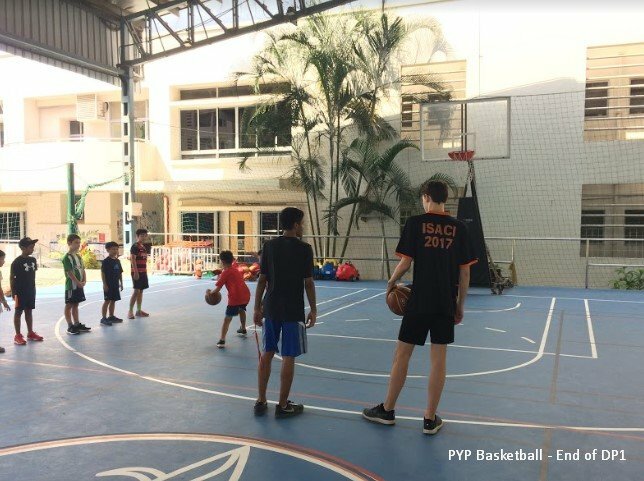 This was the last session we, as coaches and MBIS students, spent with the PYP basketball players – all who had become close friends with us DPs. This wasn’t the end for PYP Basketball Training, however, because we hope to see other MBIS basketball players carry on and lead this activity in the near future. We concluded the tournament by handing out chocolates to all the players because I truly couldn’t have imagined a sweeter ending to this journey of a project.